April « 2018 « Blog Marcos L. Mucheroni Philosophy, Noosphere and Ciberculture. 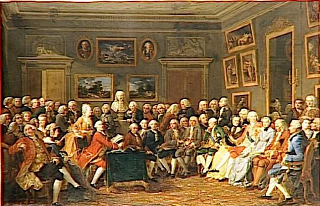 The eighteenth century was celebrated by many philosophers as a century of Philosophy, it seemed that the Enlightenment had triumphed irreversibly, its idea of ​​state, science as a way to remove man from darkness, at last everything seemed to go from strength to strength. First of all what was clarification for Kant, no doubt the greatest precursor, as Hegel was the synthesis of all idealistic philosophy of the Enlightenment. Clarification (Aufklarung) would be the departure of man from his minority, of which he himself would be guilty, see that guilt here is not the Christian concept of deviation, but that of which the state would be the guardian. So the minority is the inability to make use of his understanding without the direction of another individual, it is the perfect individualism, the man without the direction of any other individual, therefore only he is guilty of this “minority”, to depend on the other. This is accomplished in the maxim of the categorical imperative: “he acts in such a way that his action can be universal”, and should not be confused with the golden rule: “do to others what you would like done to you”, because this includes the Other. The idea that idealism has a golden thread leading to Platonism, which in turn can not be isolated from Aristotle’s “materialism”, is also mistaken in Gadamer: “The problem of historical consciousness,” whose The central point is precisely to separate idealistic and romantic consciousness from history, to reality. The text of Plato’s Seventh Letter favors dialogue with the Other, the dialectical dialectic of facing opposites and knowing how to complete the so-called hermeneutical circle, where preconceptions can pass through a fusion of horizons and a later enlightenment that leads to new reformulation. Plato affirms in the Seventh Letter: “… only after rubbing so to speak, in each other, …. in these friendly colloquies of questions and answers … is that wisdom and understanding shine on each object … “(Plato 344 b-c). PLATO, Letter VII (Trad. Of the Greek and notes of Jose Trindade Santos and Juvino Maia Jr). Rio de Janeiro: PUC-Rio / Loyola, 2008. GADAMER, H.G. Dialogue and Dialectic, eight hermeneutical studies on Plato, Binghamton, NY: Yale University, 1980, p. 91-123. The tree that gives the fruits of the grape is particular, first by the I am vine name because it gives the life to one of the fruits more rooted in the cultures due to the wine, and also is curious because its trunk and its shade are of little value, and there are still the aspect that it dries and must be pruned. If civilizing processes are cyclical use of the vine metaphor seems conducive to understanding the ways of humanity, a generation grows on a particular culture, but almost always question exactly why young people look to the future, their future. Who would have thought that the solid Roman empire would decay before the Persians, the Portuguese conquerors, the Napoleonic wars, the Soviet Union, and now the resilient money empire. Analyst of diverse levels types, currents and thinkers of various specialties are convinced, civilization undergoes one of these changes and it is a critical time of options. There are in our view three essential points: combating centralization of capital and corruption on a world scale, changing educational paradigms and the ecological issue. At the heart of these discussions are still economic and governmental powers, often confused by the influence of techno-science that can do nothing without these powers, but the focus of discussion should be on valuing human dignity and the ecological issue. The truth is that one can not discuss life, without here being the origin of life, the responsibility and dignity of the human “vine” that sometimes seems to dry with the grape tree, but then spring comes and it blooms, if the farmer is attentive. As important as the origin of life, which is still an enigma, is to investigate the original societies that are submerged in the underground layers of our society, some are able to see these traits and understand that modernity is not the eternal destiny of men, others immersed in the conflicts of our time want to eternalize it as if it were the last human civilizing stage. To understand what life is, it is also to understand where we came from, whether in the scientistic perspective of modernity we have to know whether we come from matter or not, and for this question I recommend Terrence Deacon’s book “Incomplete Nature: how mind emerged fom matter” (see our post), precisely because it unites the anthropological perspective with the cosmological word, in a broader sense that includes the cosmogonies of the diverse cultures and civilizations. The subject is too broad for a post, so I tell an experience being in Portugal, I went to visit one of these small Portuguese towns Coruche, it is not the villages that are even smaller, and there I came across vestiges of the prehistoric men in the region, the first signs of Western civilization: Roman columns, the one believed to be the first bell of Portugal and also the beginning of Christian evangelization in the region, the Church of Our Lady of the Castle has this name because it was made on the ruins of a castle. So one civilization buries the other, the city also lies in a border region between the Kingdom of Portugal and that of Al-Andaluz, where Arab Muslims lived and where the origin of the Portuguese tile designs is. I felt that all this was composed in a civilization originating from unknown Portugal, and we grandchildren of this original civilization. It does not fail to have, as in all Portugal the fields of vines, almost every place has one. As it is written in the museum of Coruche on the city: “The sky, the earth and the men”. What is finite or temporary is entity, but everything that exists has not always existed, then it is entity. We do not speak of essence without speaking of Being, for the essence without e-sistance is a being for Nothing, the nihilism that has already explored a little, now we go to this existence, finite in the now, but ephemeral because in a second she it will only be a fleeting “memory”. We assume as Camus, who are only beings, the myth of Sifico to push the stone of life while in this life that is finite and absurd, but that does not admit not being. As beings, always finite, it is inevitable that we move only in the plane of the beings, that is, only of what it always is, avoiding as far as possible the virtual “being”. It seems sensible and rational to be only in what is, but also when in the movements for a greater understanding of the Being, if it is not, by the logic of the essences, it is nihilism, since starting only from the plane of the is, everything that is not is nothing, falling and falling on the plane of nihilism. It is possible, remaining on this plane of existence to find meaning for life and also reap the fruits of a look at the infinite within the existential plane, a film seen in my youth marked me. Akira Kurosawa Living’s film (Ikiru, 1952), an icon of his still little-known work, tells of a bureaucrat from a public office who discovers stomach cancer and lives the drama of rethinking his life, finds out in ladies who were going to complain of the mud in a peripheral neighborhood a reason for its existence. Before dying the public servant of a miserable existence discovers in the complaint of those ladies a meaning for their existence and will fight with all the forces to create a park for children where before it was a mall, where he will die on a cold winter day in a chair of swing that square. It is possible to be as a person, although it is necessary to reach some transcendent objective, to discover in fact what life is, when I went to see the film I thought to myself: I think now Kurosawa will fall into my concept, for me it will always be a myth of cinema not Japanese, but universal. I also remember that today is the Day of the Carnation Revolution in Portugal, which overthrew fascism. It was already a myth and could be forgotten, were it not for Albert Camus’s book on the subject in which he provokes the philosophy of his time which he describes as having an attempt to deal with the feeling of the absurd Heidegger, Jaspers, Shestov, Kierkegaard and Husserl. It would be easy to contradict Camus for his own myth, a closeness to nihilism in his thinking, his tragic death in a car accident, however, his thinking is serious and must be taken seriously, as many authors have done. The myth of Sisyphus is of a character of Greek philosophy, who having defied the gods is doomed to push a mountain stone up, and when it rolls down, must continually repeat its effort to push it up hill. 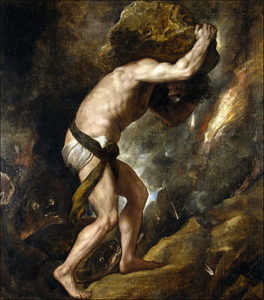 The myth of Sisyphus must be taken seriously because in it today much of mankind lives, which resignedly carried out its heavy daily task although sometimes doubts its meaning. For Camus the world is not the absurd, the absurd happens when “my appetite for absolute and unity” completes the “impossibility of reducing the world to a rational and reasonable principle.”, Thus recognizing the absurdity of man could lead him to the absurd, to live it intensely. Thus Camus’s reasoning is not a misnomer or irrationality, it is necessary to have the strength of the Brazilian thinker poet Guimarães Rosa, who contradicting logic, without being illogical, affirmed: “Everything is and is not” (ROSA, 1968, 12) in his Book: “Grande Sert]ao: veredas”. The force of the essence of é is so strong and present that it can create an entity, the finite, the nothingness. CAMUS, A. (1991) The Myth of Sisyphus: And Other Essays (Vintage International) . Edgar Morin and many other thinkers like Habermas say that an education, a philosophy of life is necessary, but the question of what life is is not simple. 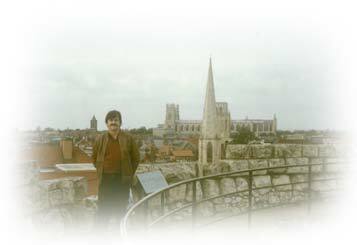 Many times when we are faced with a serious problem, a loss or a radical change in our lives we ask what the meaning of life, the question without a definitive answer was faced by many philosophers, novelists, theologians and poets. I remember the Song of Tamoio de Gonçalves Dias, “do not cry my son, do not cry that life is fighting hard, living is fighting …”, although it was only a poetry she helped me throughout life. Shopenhauer (1851) and Tolstoy (1886) reflected the fact that our lives end up with more, so it is impossible to think of one theme without the other, since life ends in a point, has a finitude, refers us to infinity and Surely this has made all people think of beyond-death, in their cosmogonies. Belief in God and an afterlife alleviates the situation, to the point that some philosophers admit that if God does not exist, human life is absurd, but Albert Camus and Thomas Nagel have accentuated the little objective significance of our lives, so we walk in the different direction of the infinite, the Nothingness, the nihilism, but the conflict between them awakens Ek-sistence, I Martin Heidegger stressed in Being and Time. Existentialism is fundamental, because the thought in the line of Camus, leads to live what he described as “absurd man” who lives the life “without appeal”, in his view this person embrace life as fully as possible even without forget or deny some fundamental rational of it, this is at bottom the way of nihilism. Nagel’s thinking is more cosmological, to the liking of some in our daily life, as the Brazilian Mario Sergio Cortella, the recognition of our insignificance before the cosmos, the light of this thought that seems to go towards the infinite, and will not, avoids an exaggerated and dramatic attitude, irony being the most appropriate, is a form of skepticism. Both paths are attractive because they are facilitators, think about the essence, this is what “is” of the things of life and of the world, and what in fact they are, that is, what is the “being” in this world before the cosmos and the infinite? This path also refers to the question of the principle, what we have already been and where we came from, must not be displaced from time but built in time. Schopenhauer, A. The suffering of the world (1851 first publication). Tolstoy, L. The death of Ivan Ilitch (1886 first publication). Amartya Sen reflects in his book The Idea of Justice on the Challenges of Social Development and asserts that there are “plural and competing reasons for justice, all with a pretense of impartiality, though different – and rivals – of each other” (p. 43). One of the fundamental aspects of his work, originally published in 2009, is that despite his 1998 Nobel Prize for Economics, it is even “the economy is supposed to be my profession, no matter what I do with my love affair with philosophy” (p. 303), reflecting that their concerns and response seek to go beyond this. As Sen’s own reflections on knowledge indicate, the question he has about the ability to both enlighten and generate illusions, and this is what we call sustainable and distributive justice. As he explains in another book Development as Freedom Field of Moral Theory of Economic Argument developed in his book, in which he argued that “development can be seen as a process of expanding the real freedoms that people enjoy” (Sen, 2000, p. 17), and any model based on restricting human freedom is not a sustainable model because it will be a source of conflicts and interests. The role of education as well as being fundamental to sustainable social justice is also a model of moral and human development, and if there is lack of freedom, this development will never be complete, of course, without neglecting the aspect of economic development that guarantees life . Thus the idea of single-mindedness, of philosophy or single-party politics, which has been at various times in history rejected by man, and which comes to light again is not politically, morally and socially sustainable. The idea of a planetary citizenship today must be linked to the idea of ​​a world of less economic discrepancies allied to the free expression of cultures and peoples, only then we can think of a planet for all. The basic basic education as stated in the first post of empathy, the ability to resolve conflicts and it will not be possible with online education reach the levels of schooling for the lower age groups, but from the first schooling. I call this age up to 10 or 12 years, it is possible to observe that online education helps and can be of great advancement, especially for children living in peripheral countries have a school performance capacity above what would be appropriate for their age, of course this child should enjoy normal channels of empathy and sociability of his age. But at the higher level we can have higher quality jumps and provide high schooling on a world scale, just to give an example, India that still has alarming levels of health and poverty is a country that generates brains and high school students. Massive Open Online Curses (MOOCs) is a type of open course offered through virtual learning environments, Web 2.0 tools or social networks that aim to offer a large number of students the opportunity to attend without physical presence in universities and without costs of housing, transport, etc. A fake News ran this universe saying that the MOOCs were born in 2012 and died in 2014, but this is not true, the numbers prove this: the current numbers according to the Central-Class site, the number of online students is 58 million distributed in more than 700 universities, in 6850 courses, also the graphics of this site show increasing values. 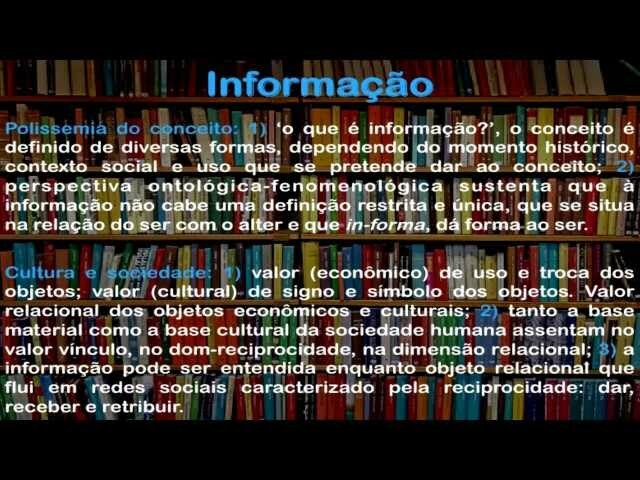 In Brazil, large universities already have online courses, for example: FEA, from USP, has a course on Fundamentals of Administration (FEA / USP), available on the Veduca online education platform in Brazil. who wants to learn how to manage, another course is Social Responsibility and Sustainability of Organizations (PUC / RS), a PUC course in Rio Grande do Sul available in Miríada X, the Physics of São Carlos has The Basic Physics course (IFSC / USP) the course has a workload of 59 hours divided into 26 classes and UNB has the Bioenergetics course (UNB), which allows the interested party to choose to attend classes or obtain the certificate. Education is the way out? Despite major improvements in recent years, progress toward education for all has stagnated globally, few initiatives exist to make leaps higher, Open Education for All in Massive Online Courses can be the solution? In total, 263 million children, adolescents and young people so out of school for the school year that ended in 2016, statistics for 2017 were not at all optimistic. This means that more equitable progress will become increasingly difficult if huge barriers are built already in youth education will be doomed to emergency resources rather than to an equitable and sustainable improvement of the distribution of assets across the globe. The reason why this process is not equitable has some evidence: children face the most severe barriers to education that have a lower chance of professional and personal development, this becomes dramatic when they are associated with gender, poverty, displacement, nomadism, disability and / or ethnicity, and even when they are left behind in displacements due to wars. There is a disproportionate number of out-of-school children living in countries characterized by instability and conflict and / or extreme poverty, little is said about Africa, but every day there is a new conflict. Many of the countries with the greatest number of out-of-school children do not have adequate outside funding or funding to meet their needs, and the NGOs and actions of some countries are localized and loss-making. Beyond the obvious question of a global policy of income distribution is a massive attack on the issue of education, if armaments money were invested in this, we would have great solutions in the medium term, the short would be a strong intervention to the UN. I find, reading a Portuguese newspaper that the number of abandoned children worldwide reaches 220 million worldwide, one in ten, and the number caught my attention because it is practically the population of Brazil. The news of 2016 says that only in Portugal about 8,600 children were removed from their families in 2015, and also very curious news that in three villages where these Portuguese children are referred (there is still much life and many villages in Portugal, which differs from small towns), the villages of Bicesse (photo), Guarda and Gulpilhares, they are integrated into a house with a “social mother” and cohabit with the other children as brothers. What is the school success of the current 120 children? 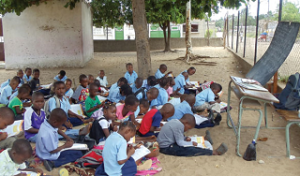 in all villages have already lived in these villages more than 500 children, the school success rate is 88%, do not report the metric, but I believe that is the approval, since they do not talk about evasion numbers. The time I went to look for what are social mothers has turned out to be an even greater reality, the NGO SOS mothers was founded in Austria in 1949, and is already in 135 countries, with about 2000 programs in the areas of protection, prevention, health, education and emergency. The aldeias-SOS.org program is one of these programs. In the case of Portugal, it aims at Family Empowerment through 130 biological families, who receive an “employment grant”, with parents selected through such a detailed profile: – age between 30 and 55 years old; – minimum schooling 9th year, preferably secondary education and training in the area of education; – experiences in daily management of care and teamwork; – personal availability, intense professional commitment with majority residency in the SOS Village; and, – determination, tolerance and perseverance; – resistance to frustration and conflict resolution; – flexibility: ability to adapt to different situations and individual characteristics; – communication and empathic skills. Expression and understanding of the other’s feelings. – ability to work in team and organizational competence. It is not just a program for social families, it is a program for all families, but more importantly, besides being a social work, it is a source of income for families with the capacity to face the challenges of family education.